The weirdest thing happened to me yesterday. As I was preparing for my wellness event presentation, the co-presenter arrived and told me he had thrown his back out that morning. That was not so unusual, but then his wife pulled me aside and told me he was so uncomfortable that if someone offered to speak healing words over him he would gladly accept the help. Now this was shocking to me, not because he was open to alternative therapy, but because of her choice of words. You see, I had recently been given a gift of specific healing words from a high Tibetan lama and I was preparing to do a three day retreat to empower that mantra I had received. Unfortunately, I did not have time during our event to help him with his back. However, it got me to thinking about how I intended to use the mantra once it was fully empowered. I am not exactly sure why I am so attracted to this mantra that I would want to devote three days to its repetition, but it seems very important to me to learn and use. Not only does it change incurable diseases, it also has the power to negate astrological influences. Intriguing! Although the root text does not specifically state this, I think it could also cancel the detrimental affects of GMOs, chemtrails, and other negativities that are becoming ubiquitous. There are many things I know that can benefit people. I know of herbs and supplements that can prevent illness and cure disease. I know business methods that can create prosperity. I know of secret words that can extend life and secret words that can cure diseases. I know how to grow food and medicine. I know how to identify wild foods. I can instantaneously change peoples core beliefs. I wonder why am I not more aggressive in spreading the good news? Well, I also know that herbs, supplements, mantras, and business methods cannot create change in people unless they have created the conditions that will allow these to work. No herb, supplement, or mantra has inherent power. The power for them to cure comes from our beliefs and our willingness to let go of what does not serve us and receive the gifts that are available to us. 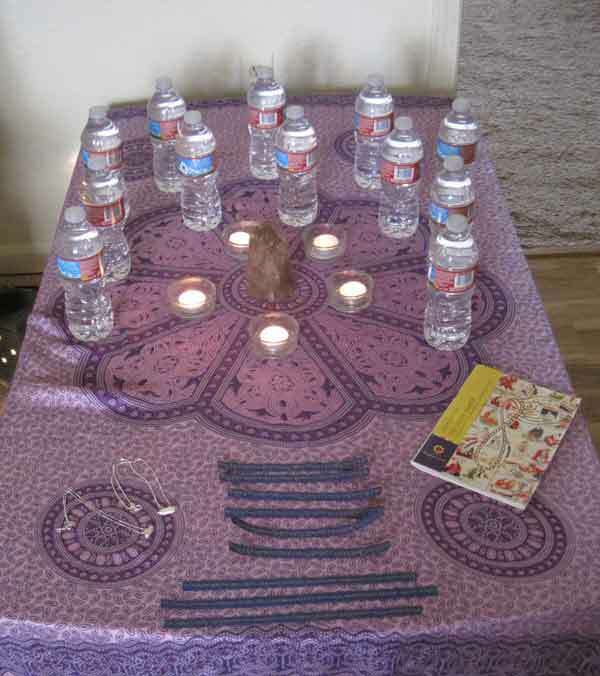 During the retreat I will be empowering water that can be used as medicine and scripts of the mantra that are used as amulets. If you feel that these may be of value to you let me know, so I can share with you. My retreat is dedicated to you. Yes, you personally. Tomorrow begins the Tibetan year of the fire monkey. I don’t usually pay much attention to holidays, but Namkhai Norbu’s annual Mandarava Drubchen Retreat begins and I am preparing to participate. 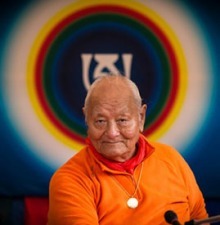 I surprised myself last year by waking up every morning at 3 am for two weeks to join Chogyal Namkhai Norbu as he gave dzogchen teachings and led the practice of long life at Dzamlingar in Tenerife, Canary Islands. As I mentioned in Deconditioning Ground, this practice is important to me due to my connection with Padmasambhava and his Indian consort Mandarava. This year feels much like last year. I do not feel completely committed and am curious if my motivation will increase and what will happen during the two weeks. Unlike last year though, I actually know a little bit more about the practice, have my necessary supplies, and, due to persistent study, I can do the mudra’s in the short version. What is possible beyond this that I haven’t even considered? What would it take to receive universal abundance with perfect ease? What energy, space and consciousness can me and my body be to operate beyond form and structure, definition, limitations, linearity, and significance for all eternity? How can I use this to my advantage? Actually not truly me, but Mandarava, one of the many consorts of Padmasambhava. However, when you are doing an atiyoga practice the distinction between self and divinity becomes blurred. I put the final touches on the picture today. Mandarava chulden was the practice I mainly focused on during my retreat this summer. You can read about my relationship to Mandarava and Padmasambhava in Deconditioning Ground.